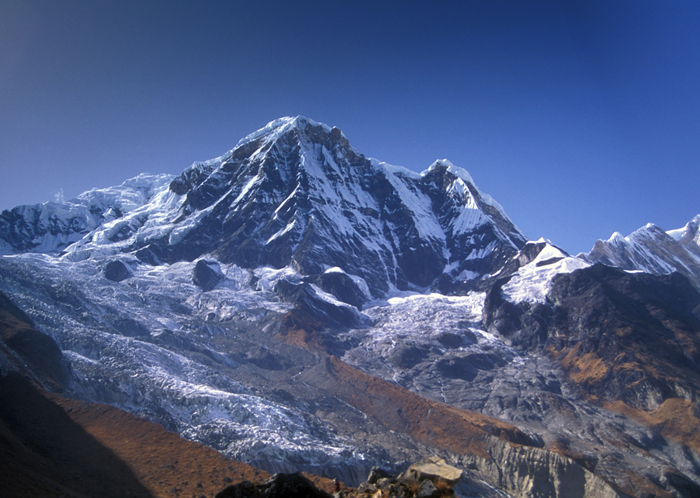 Annapurna Sanctuary - is one of the most popular treks in Nepal. The trek begins in Pokhara and leads up through the breathtaking Modi Khola gorge into the vast mountain ringed amphitheatre of the Sanctuary. As we trek through bamboo and rhododendron forests we have superb views of the Annapurna range. We eventually pass between the mountains of Machhapuchhre and Hiunchuli which guard the entrance to the Sanctuary, and after 6 days reach our goal, the high glacial basin that is the site of the Annapurna south face base camp. This is a classic trek which allows access to the high mountains of the Himalaya within a reasonable timeframe and with a maximum altitude of 4000m. Accommodation and food is provided in the local lodges. 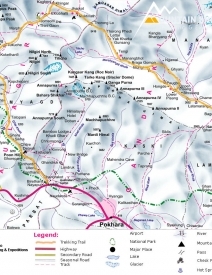 Transport to and from Pokhara is by air. Fly to Pokhara, transfer to hotel. Trek from Birethanti to Naya Pul. Drive back to Pokhara. Overnight at Pokhara. 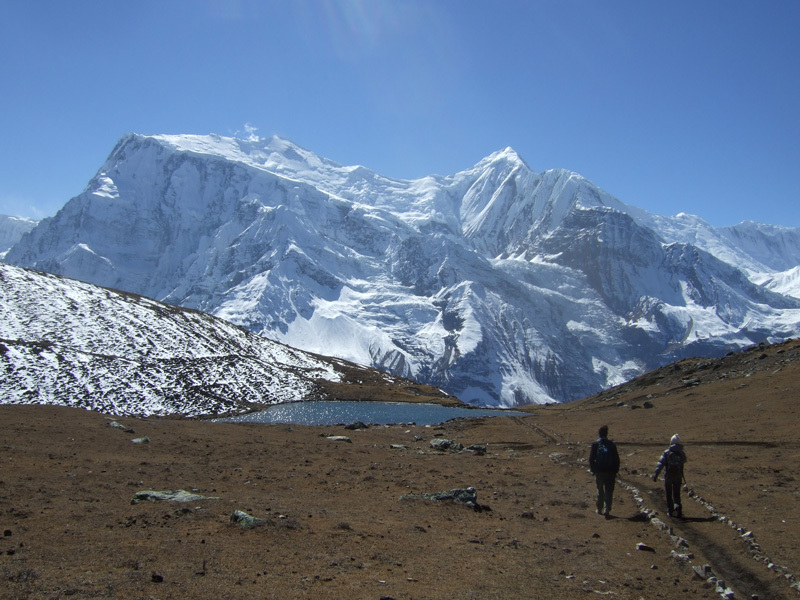 Annapurna Sanctuary The Annapurna Sanctuary trek traverses a variety of terrain, from lowland villages and paddy field terraces to glaciers and offers outstanding mountain views. Though it has some steep climbs, the trek is not so difficult. This trek is a fine opportunity to surround you with the Himalayan ranges in a short time without having to confront high altitudes.